eTouch for Health on the iOS device operates as a companion to your primary eTouch running on your desktop or laptop computer. eTouch for Health runs on your device via subscriptions which are available for a monthly, yearly or one-time fee. 2. To register for Access, please email your eTouch Code to us at: info@etouchforhealth.com. 3. You will receive an email from eTouch for Health within 24 hours of receiving both your subscription order, you will be issued an access code. Enter	this	code	and update your Key Status and your cloud access will be activated. Once eTouch is installed on the Primary Computer and after the device/Cloud Access is activated in the steps above, then the eTouch files are copied from the Primary Computer to the device using Apple iTunes. 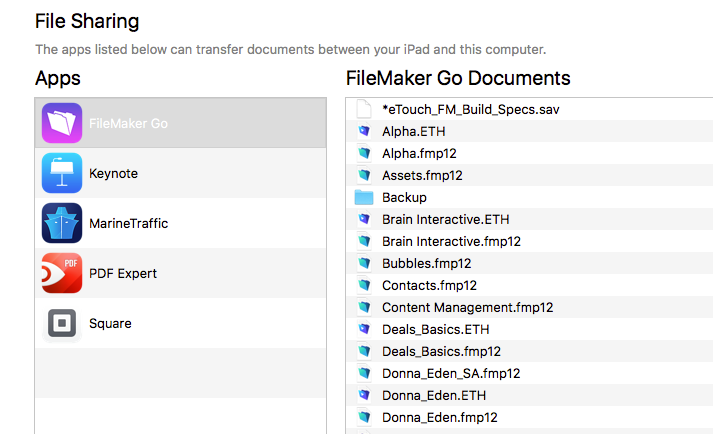 eTouch runs on the device using the free FileMaker Go App. This is downloaded from Apple store using your device. Once FM Go is installed, you are ready to go! Just open FM Go and open the Alpha.ETH file. 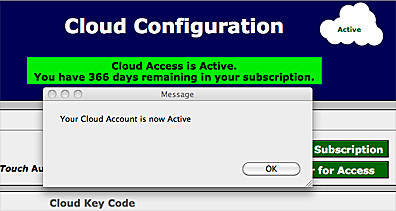 If you have not purchased a Cloud Access Subscription, click step #1. If you have already purchased a subscription, go to step #2 below. Once we receive your eTouch Code, we will issue your Access Codes and email these to you. Please allow up to 24 hours for this process to complete. • When you receive your codes, enter the codes on the Cloud Configuration Screen. The easiest way to do this, is to copy the codes from your email and then paste into the scratch field by clicking the "Paste into Scratch" button. Then, you can enter each code into the fields. The "Paste into Scratch" field is just for your convenience. Your Cloud Account is now active and your status information will be displayed on the Cloud Configuration screen as well as the Cloud icon. • Download and install FileMaker Go onto your iOS device. 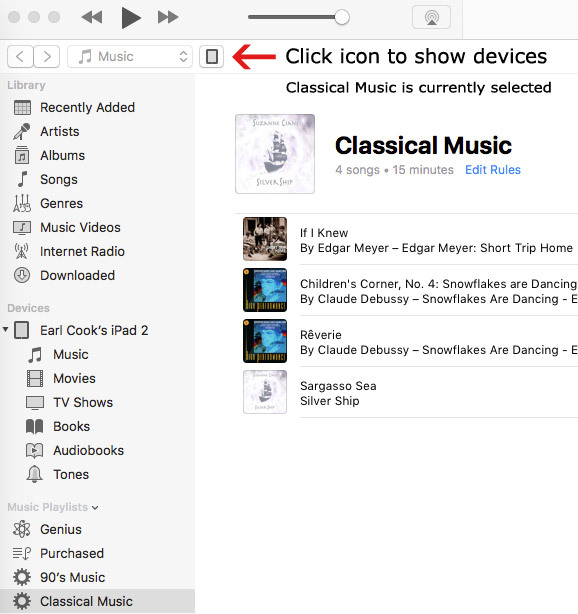 Apple iTunes is the bridge app between your Primary Computer and your iOS device. 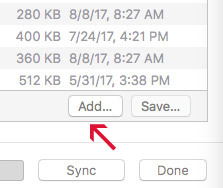 iTunes is used to install your files, updates files and move datafiles between your device and Primary Computer. • If you do not have iTunes installed, go here and to download and install. • Connect your device to your desktop or laptop computer using the device's cable. • First click the small icon at top to bring up devices. See red arrow shown in following illustration. • Select your device's icon in the left column under the Devices section. In our example, the device is Earl Cook's iPad 2. Scroll down until you see File Sharing. This is where FM Go and eTouch will live. File Sharing will show up on right. 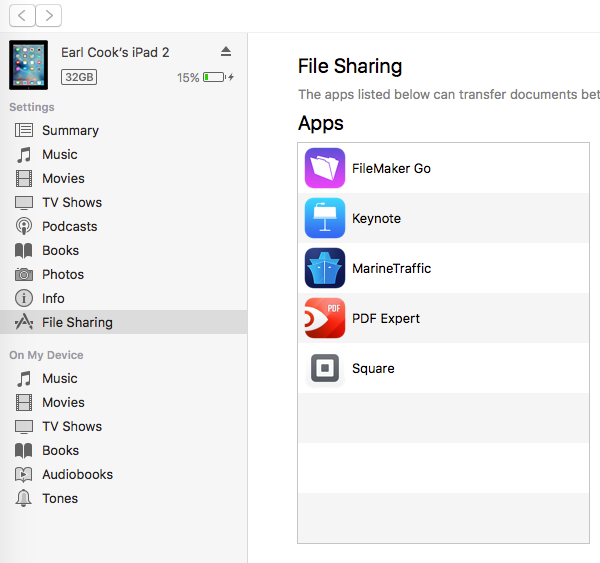 • Click on FileMaker Go in the list under File Sharing. Note: We have also noticed that the scroll bars on the iTunes store are sometimes difficult to distinguish. • Click the Open button to copy all files over except eTouch for Health and the alias if there is one. The eTouch files will be copied to the device. • Unplug your device from your desktop or laptop. • Click on Alpha.ETH to open eTouch for Health on your device. If you do not see it, click the device icon at bottom and then click Alpha. You do not need to register again. Your subscription order will be received and we will send you new access codes.